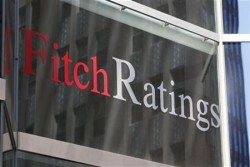 Due to the fiscal situation, Fitch cuts the credit rating of the newest EU member country. The economic frame conditions do not leave enough room for reducing the public debt level, Fitch argues. The U.S. rating agency Fitch has lowered the foreign currency credit rating from “BBB-” to “BB+”. The local currency rating was cut from “BBB” to “BBB-“. The outlook was kept unchanged. Now, Croatia has the same rating like Hungary.